You did your homework and picked the perfect hardwood floor investment. Now, it is time to protect that investment and maximize the return on hardwood’s amazing durability and long life by choosing the right hardwood floor installer. If you want to protect your investment, the importance of choosing the best hardwood floor installer cannot be taken lightly. If you are selective, know what to expect, ask the right questions and get everything in writing, you have a winning formula. Follow this guide to choose the right hardwood floor installer. You are making a substantial investment. Do not allow yourself to be pressured. Be disciplined, organized and be sure to engage a competitive search where you receive at least three written proposals. Be clear with prospective hardwood floor installers that only providers who visit the home or office where the floors will be installed will be considered. Word of mouth references, from friends and co-workers are a great source. However, ask all prospective providers for their references and contact information. Be sure to check the references. If the provider has a project workbook, ask to see samples of their work. 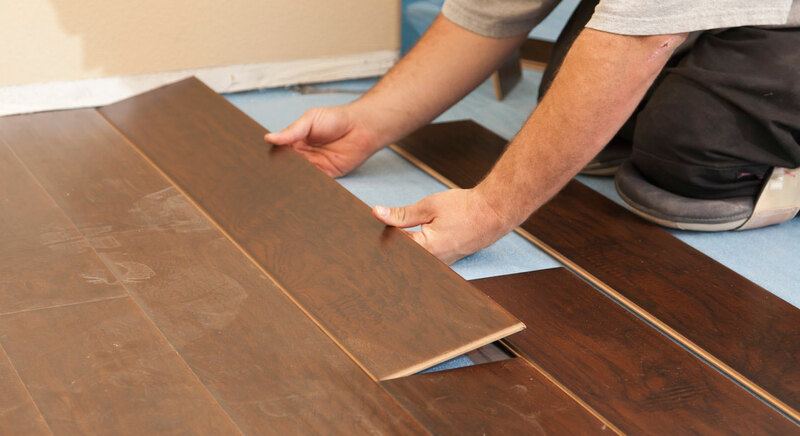 Get familiar with the structure of the businesses that will install your hardwood floors. Does the business use their employees or subcontractors? Make sure that every worker that enters the property and the business itself has the proper and sufficient insurance. Request certificates of insurance and be sure you can be cited as an “additional named insured.” Ask the potential providers to provide copies of their business license as well as their insurance information. Be clear that prospective providers must issue a written warranty for the workmanship. Most reputable hardwood floor installers will offer a written one year warranty but if you can negotiate for two years or more, all the better. Some hardwood manufacturers require installation by members of the National Wood Flooring Association (NWFA) or their warranty will be invalid. You should ask the Fort Worth hardwood floor provider for any mandatory installation requirements to protect your warranty. Be sure your installer meets and complies with these guidelines. The NWFA has various certifications. If providers are members, ask about their experience and if they have any NWFA certifications. These certifications should carry weight in your decision making. If time is important to you, get a schedule in writing as well as the payment terms. The installer will need certain supplies and materials and you should request a breakdown of material costs, supply costs and labor. Good hardwood floor installers have plenty of work so you will have to determine if you are willing to wait for the installer you prefer. Your investment deserves a professional hardwood floor installer who is willing to agree to a written contract with a fair payment schedule. Do not let the contractor get too far ahead of the work. Pay as you go and insist upon a walk through inspection before the final payment is released. Busy hardwood floor installers will probably want to ask questions before they agree to visit your home or office and get a feel for the job. Be sure you know what you bought, your specs, square footage and the scope of the job. There is more work for the installer with unfinished hardwood floors that require onsite finishing. As a general rule of thumb, installation of prefinished hardwood usually runs about 50% of the cost of the floor, but there can be extenuating circumstances, such as the condition of your sub-floor. What warranties does the installer offer? What certifications, if any, does the installer have? Will they provide a business license and insurance certificate? Is the installer a NWFA member? Does the installer use eco-friendly products? How far out is their schedule? Do they provide written estimates? Does the installer use a dust containment system? Who will move the furniture and is it included in price? It is understandable that you are excited to see your hardwood floor in place. But, it is worth the wait to find and hire the right hardwood floor installer. Protect your investment and be a professional buyer.